Yoga class is just another form community, I offer what I know and can, and we're gather by Yoga, that is all. Enjoy your practice, fellow Yogi(Yoga practitioner), and yourself. If you are brand new to the yoga, this is a great way to start your practice. You'll do yoga poses supported with tons of props, you relax your body to feel the poses, that is all!! Your spine will be happier and mind will be calmer. Restorative Yoga can improve your physical health, nourish your body and mind both! Let's just do enough yoga for a day! It's been a while since I made home practice video, but here is the brand new one. Let's continue your yoga practice even when we're stuck in a house for winter weather. Beat Winter Blue with Yoga!!!! Let's breathe and move! Whole class breathe together, move together, true Vinyasa Yoga practice! Experience energy and power of oneness. 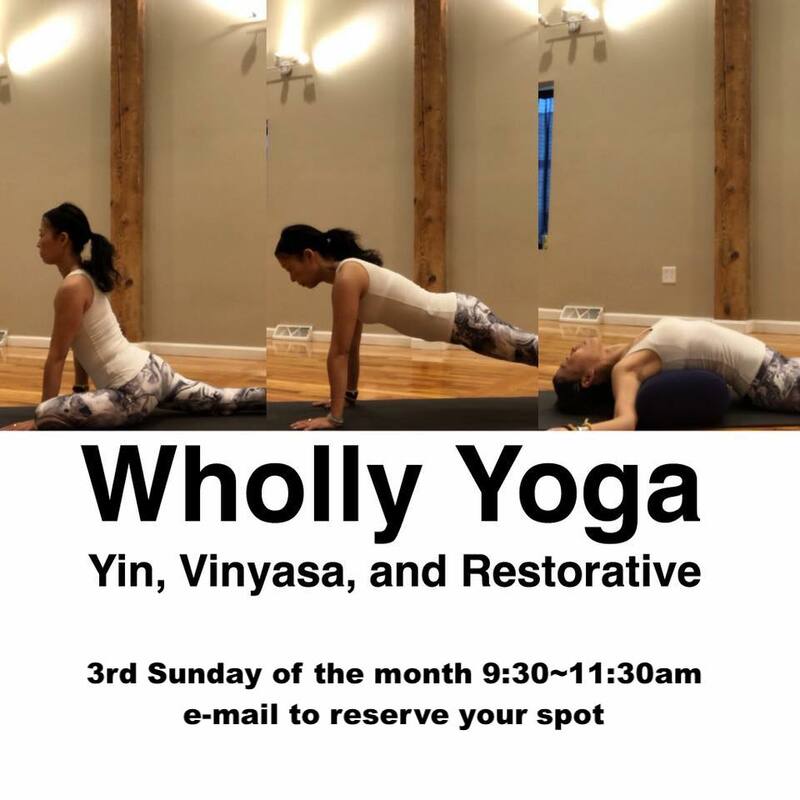 End of each Vinyasa Class we focus on yin energy to cool down, twisting, hip opening, etc.... But ultimate Yin energy class is "Restorative Yoga". It's truly balanced you. For purposes of this Agreement, “Service” refers to the Company’s service which can be accessed via our website at www.yogawithyuko.com or through our mobile application. The terms “we,” “us,” and “our” refer to the Company. “You” refers to you, as a user of Service.